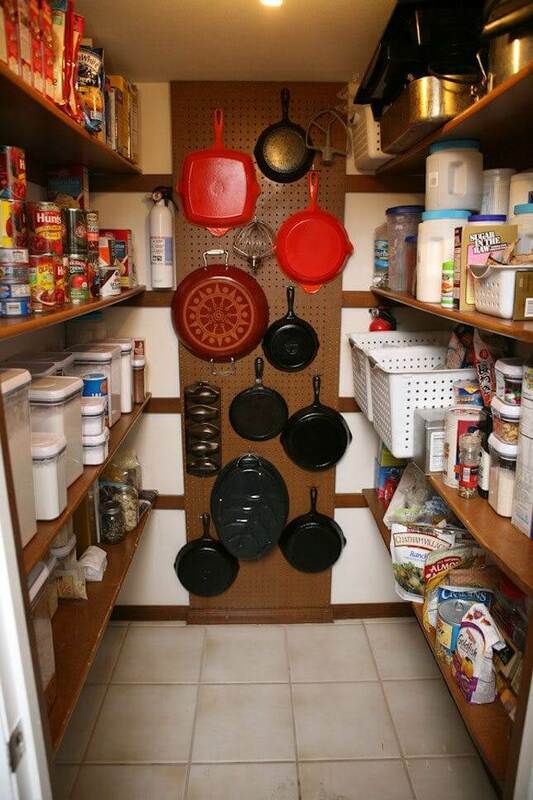 It’s difficult to find things in a cramped, messy pantry. 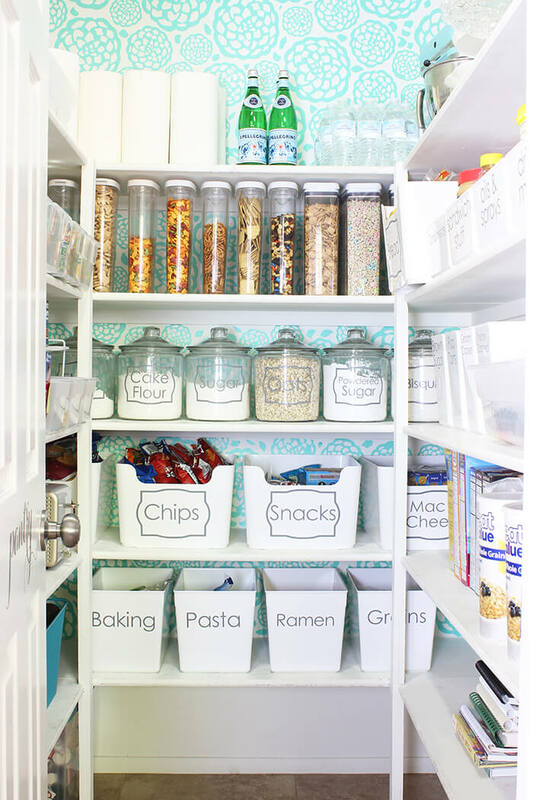 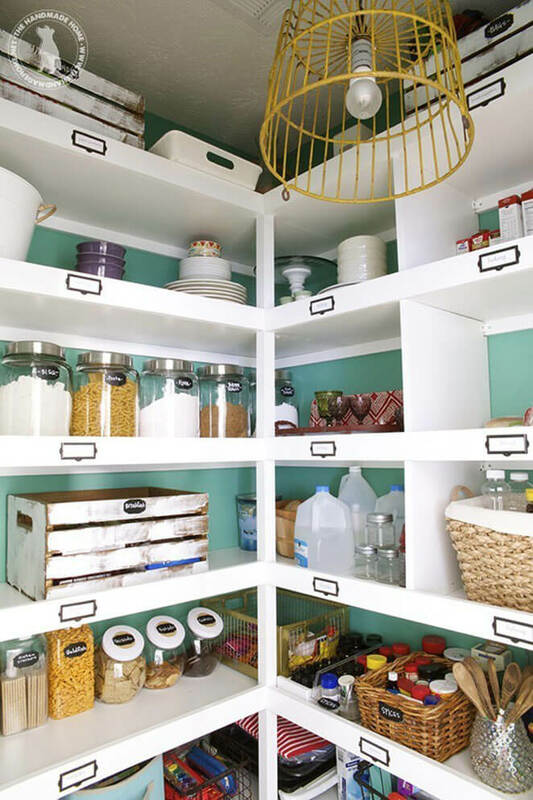 You will have a much easier time cooking and staying organized when you take inspiration from our pantry organization slideshow. 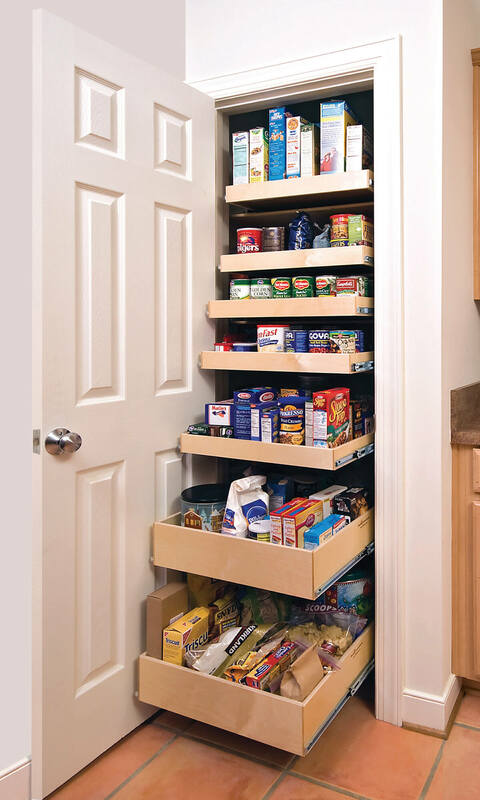 Whether or not you have a built-in pantry in your kitchen, you’ll be able to take advantage of these simple ideas. 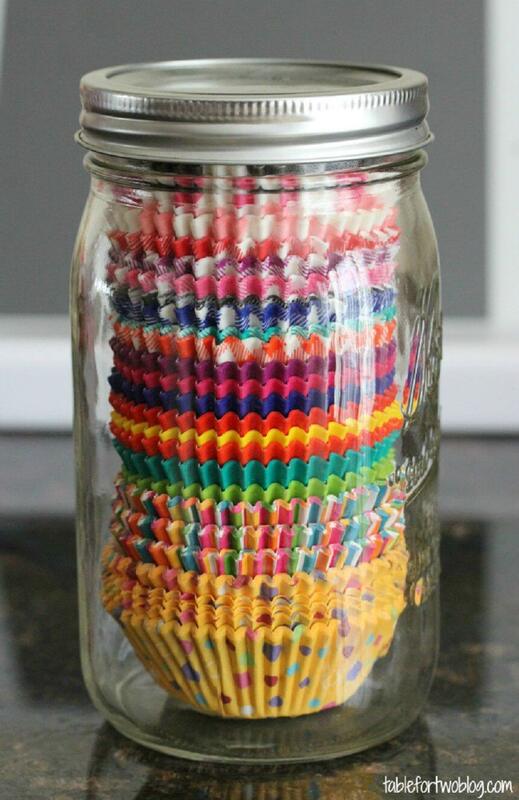 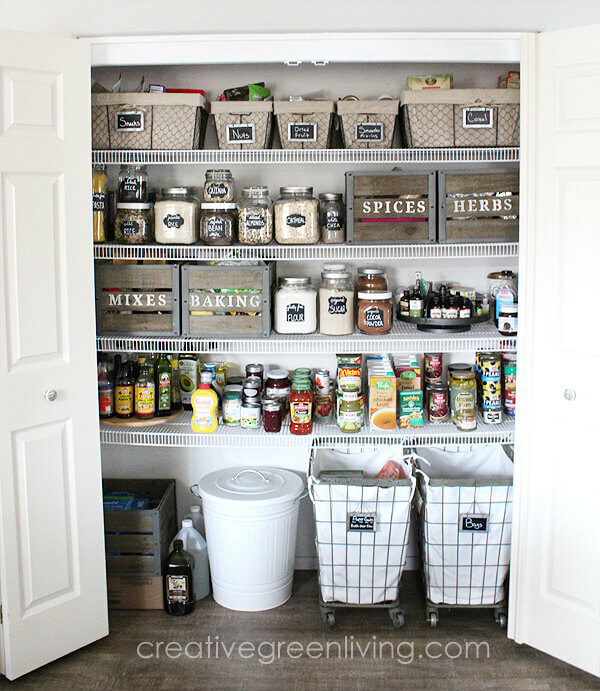 Most of these ideas only require buying inexpensive boxes, baskets, and labels. 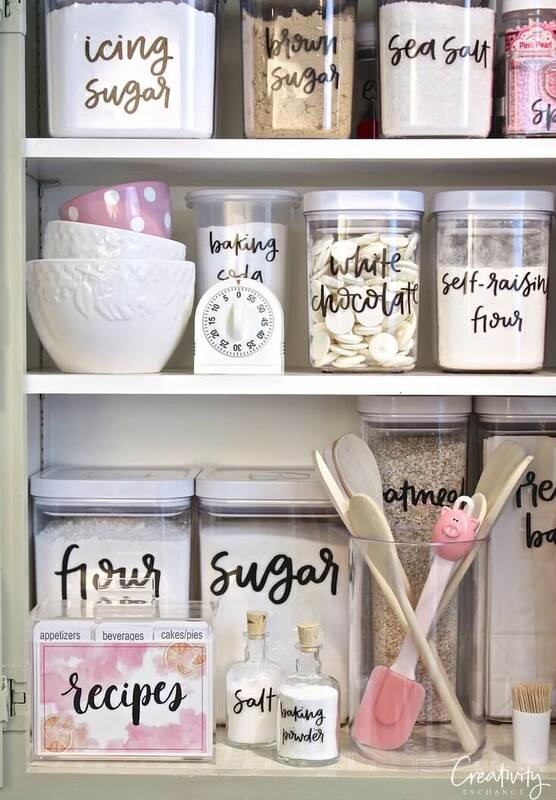 Some concepts take a little more work, like putting pretty vinyl lettering on glass jars. 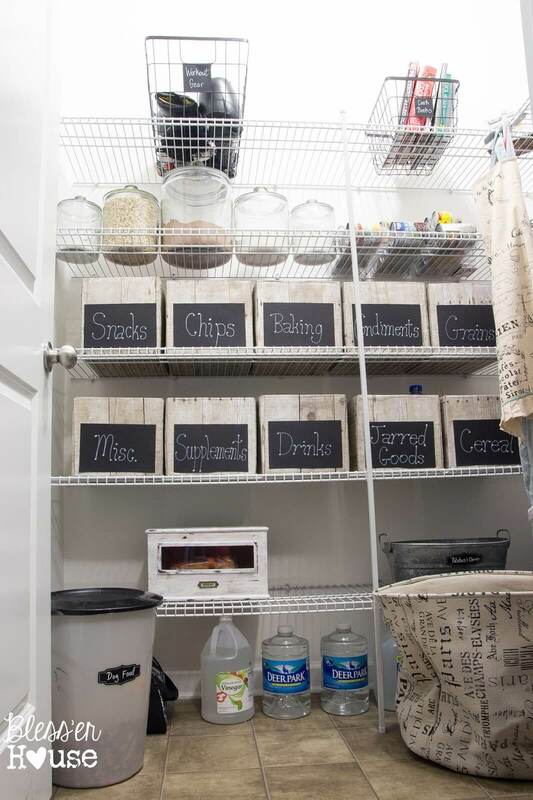 Unpainted boxes can be freshened up with a coat of paint and some stencils. 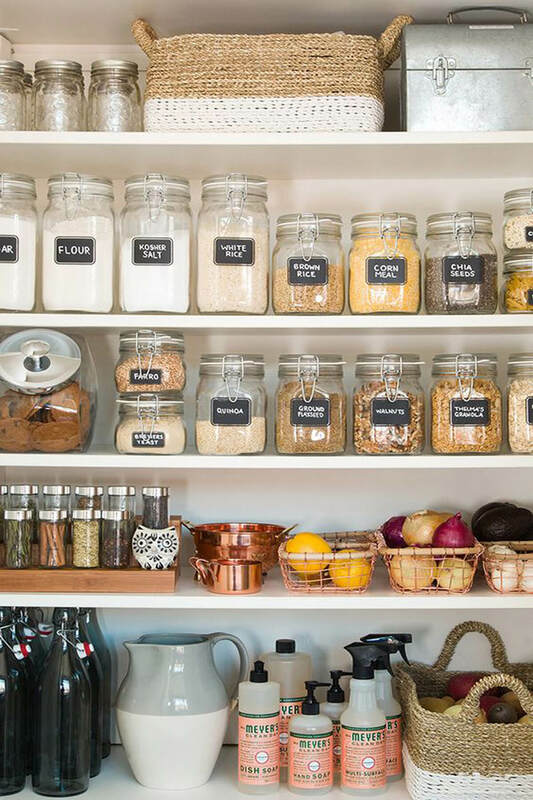 One trend worth looking out for is the chalkboard label. 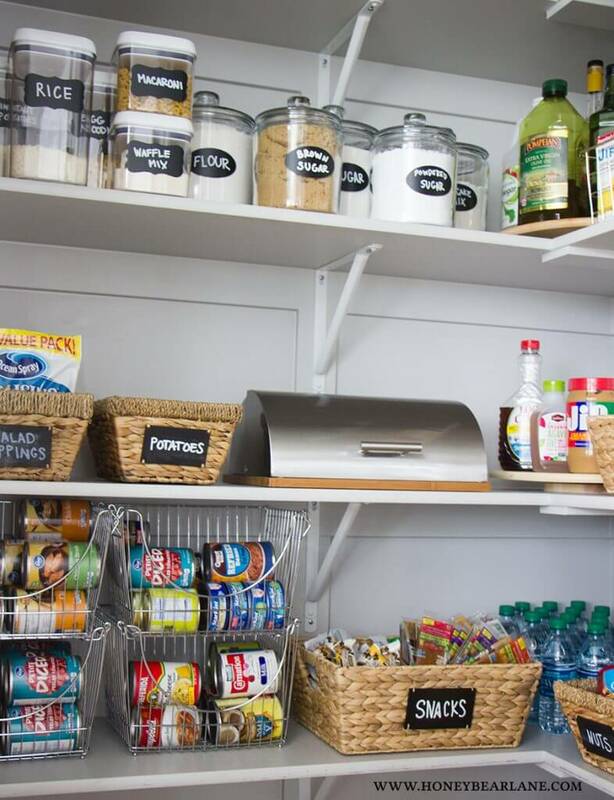 Chalkboard labels can easily be bought at the craft store, or you can make your own with matte black paint. 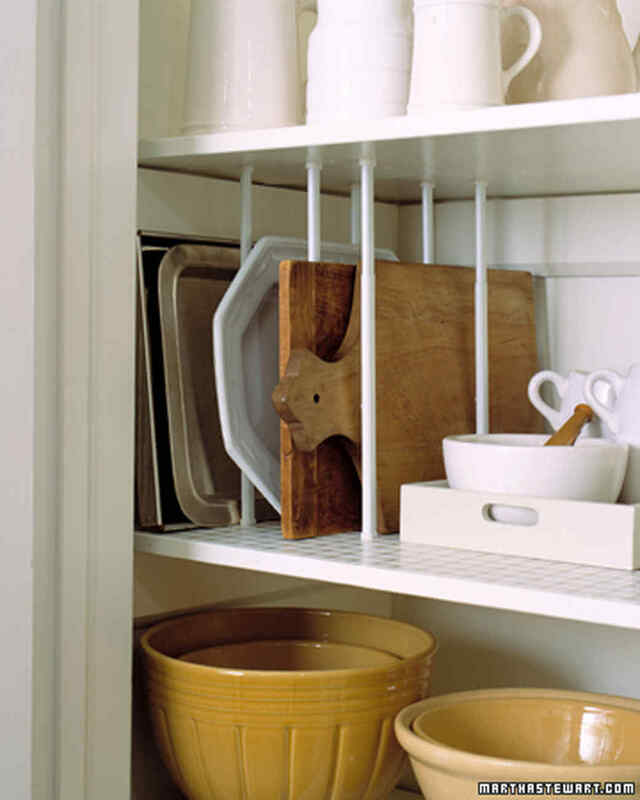 Repurposing an item from another part of the house is another great idea. 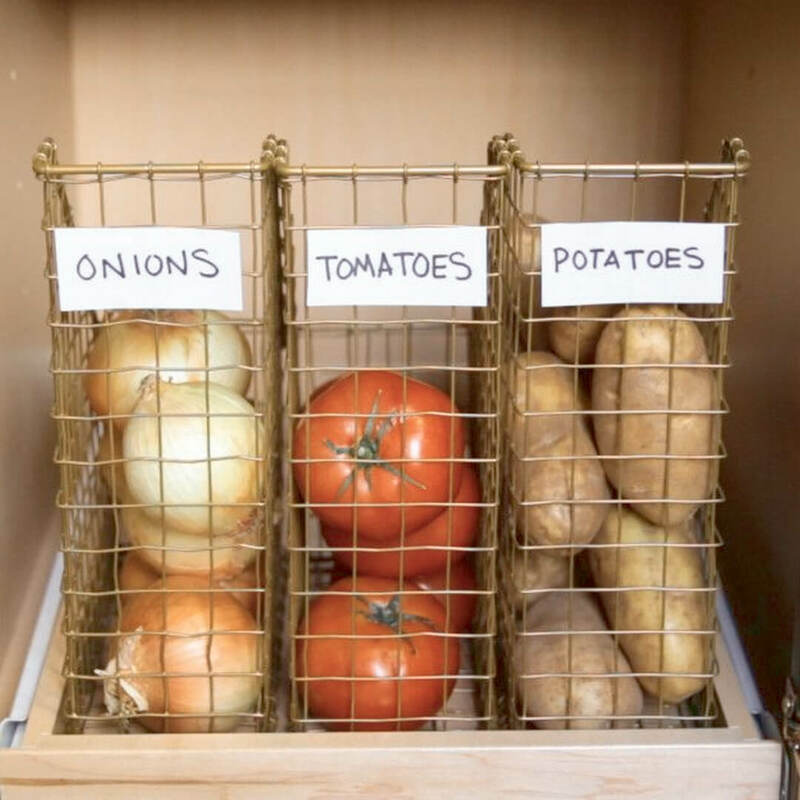 Magazine baskets make excellent holders for root vegetables. 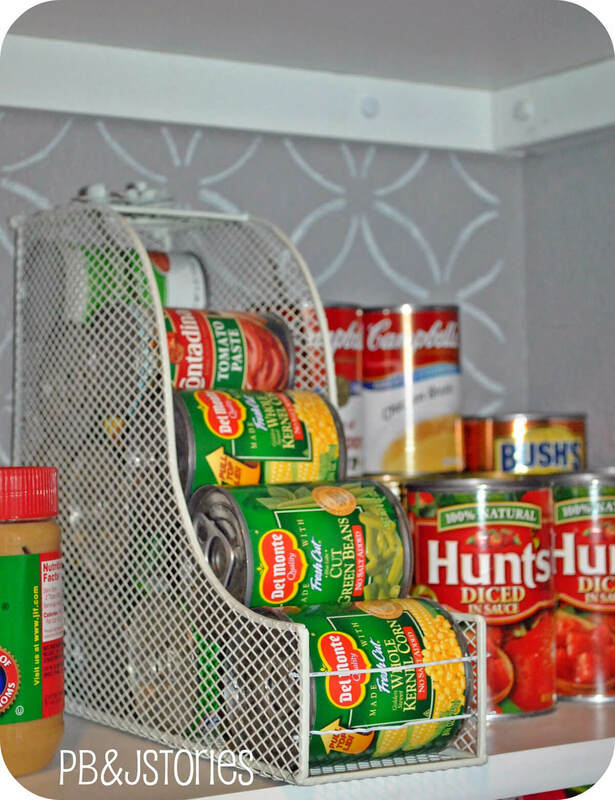 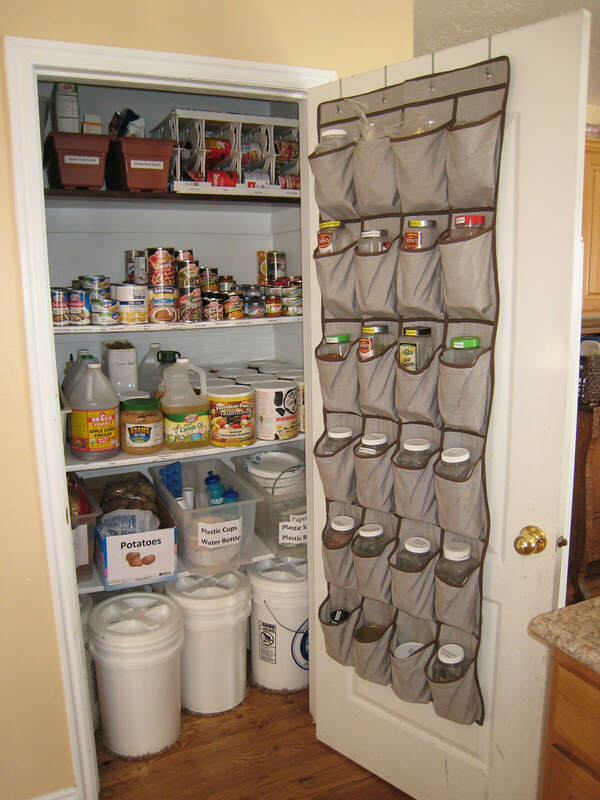 Over-the-door fabric shoe organizers are perfect for small- to medium-size jars and bottles. 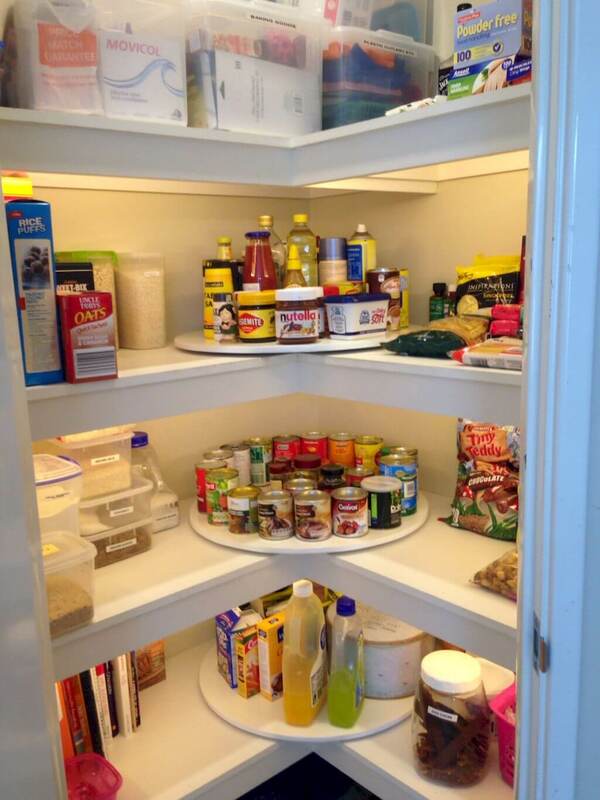 Something often overlooked in pantry design is making sure the area is well-lit. 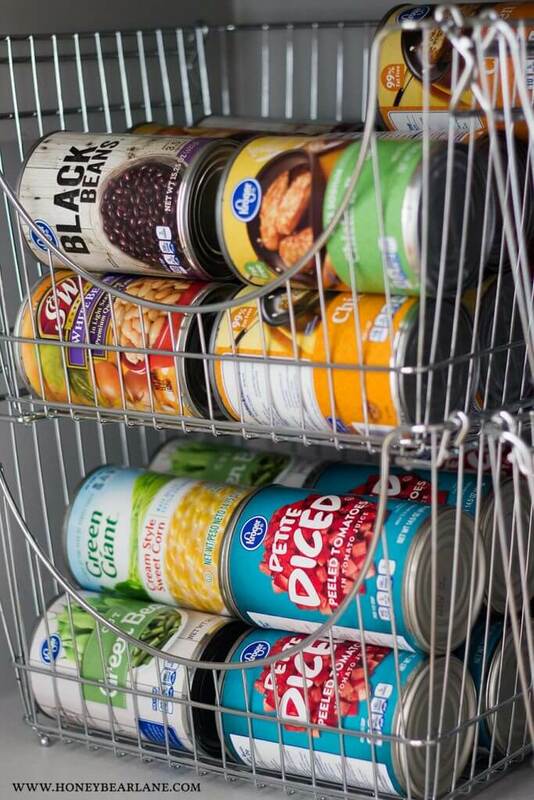 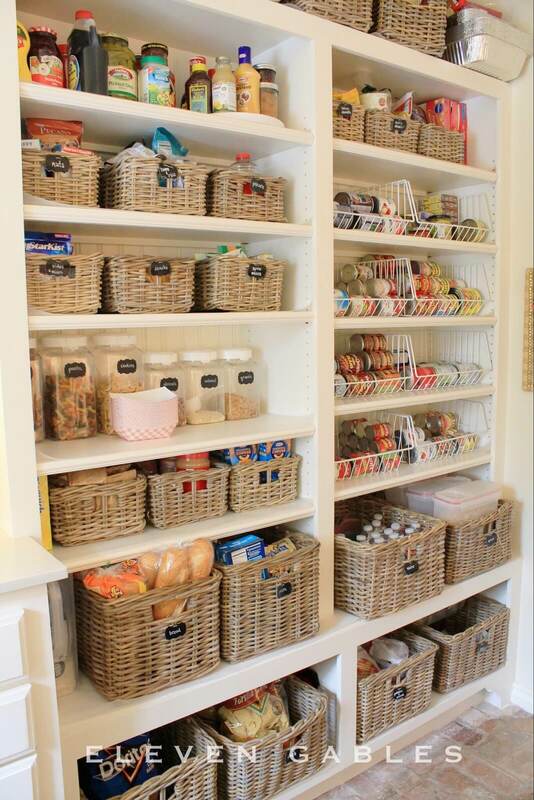 Lighting your pantry will make it even easier to find what you need and brighten up a dark corner of your kitchen. 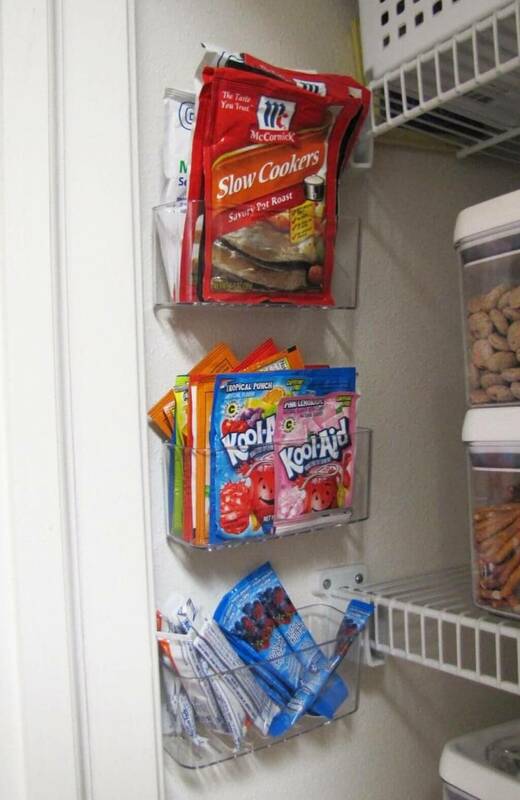 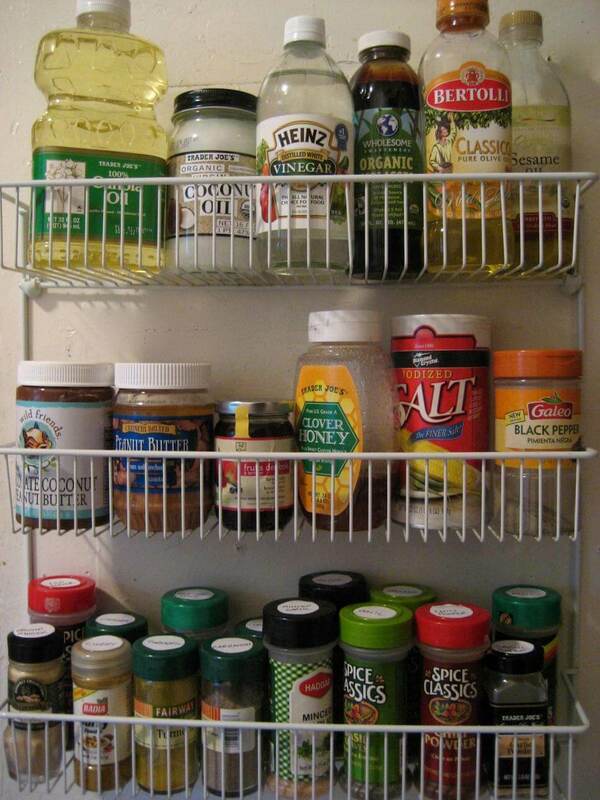 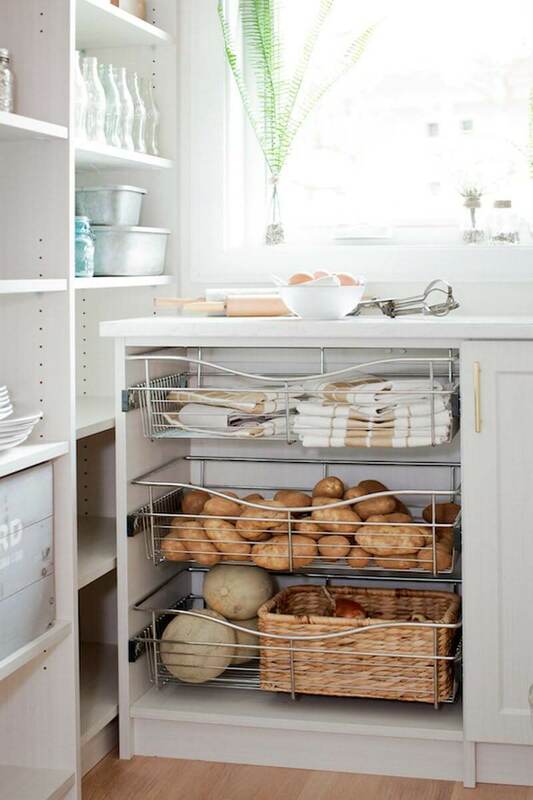 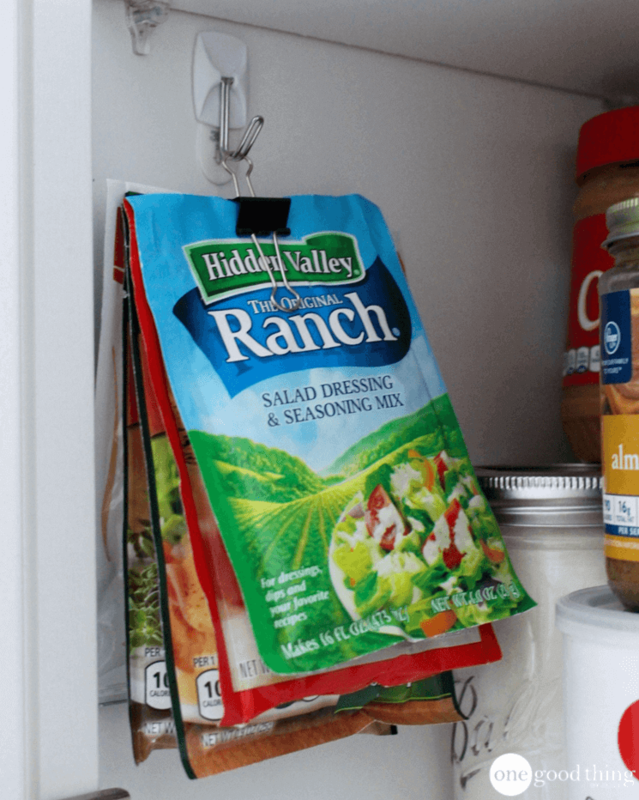 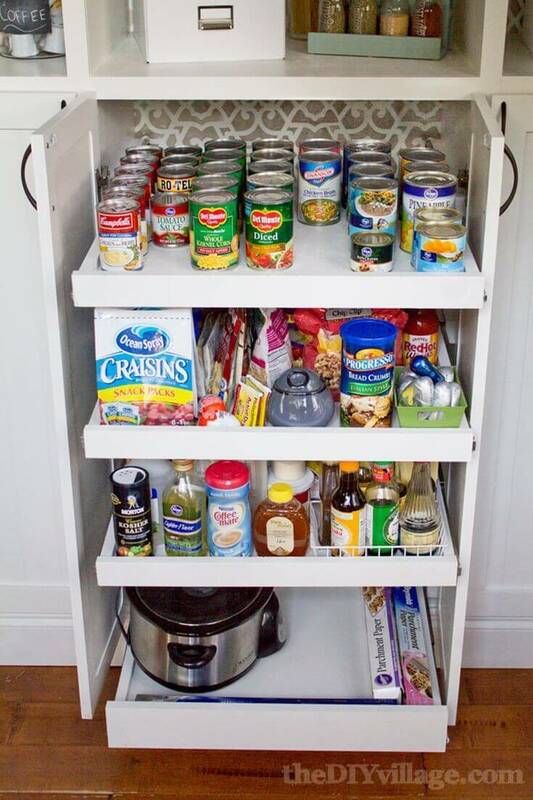 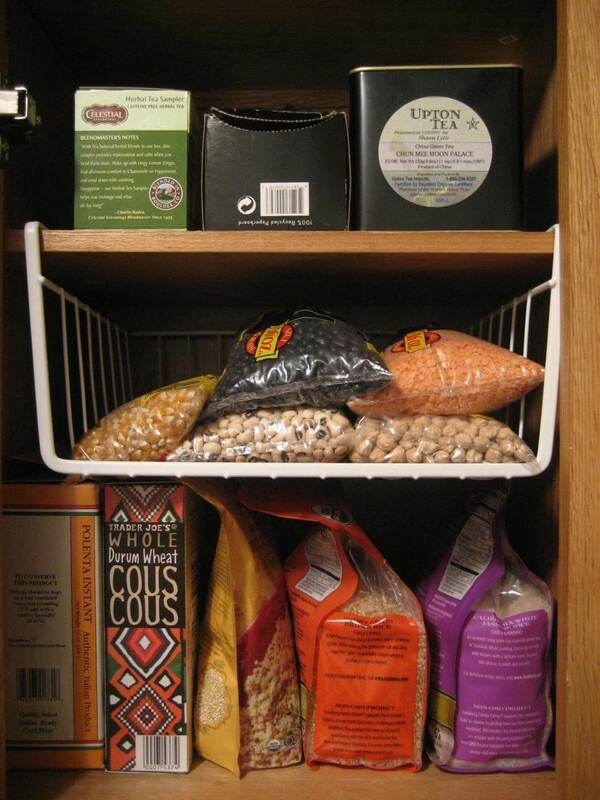 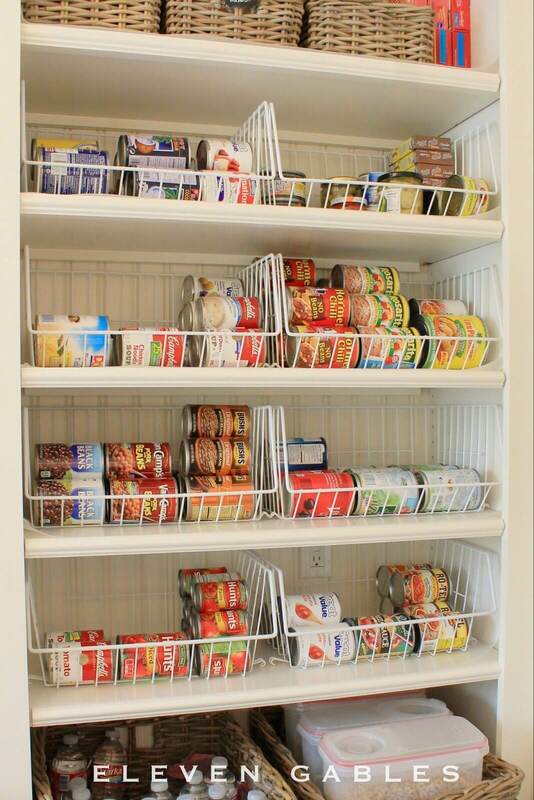 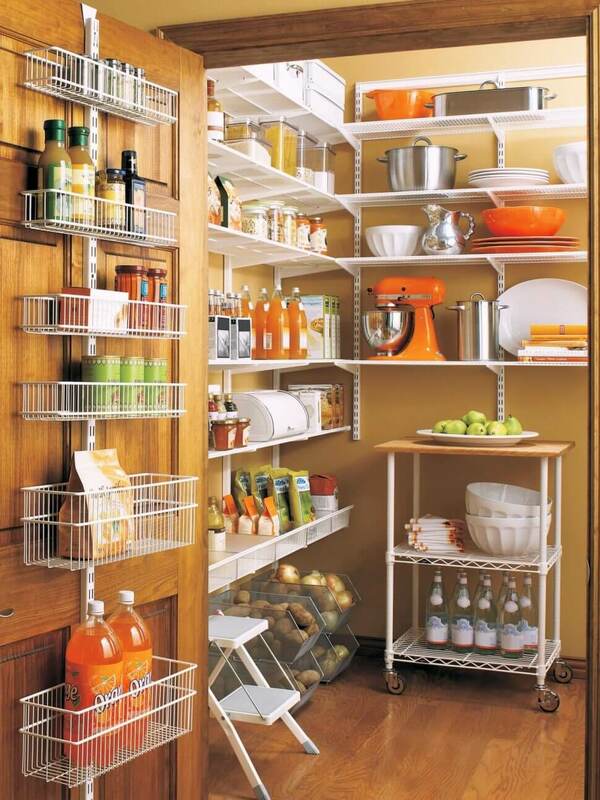 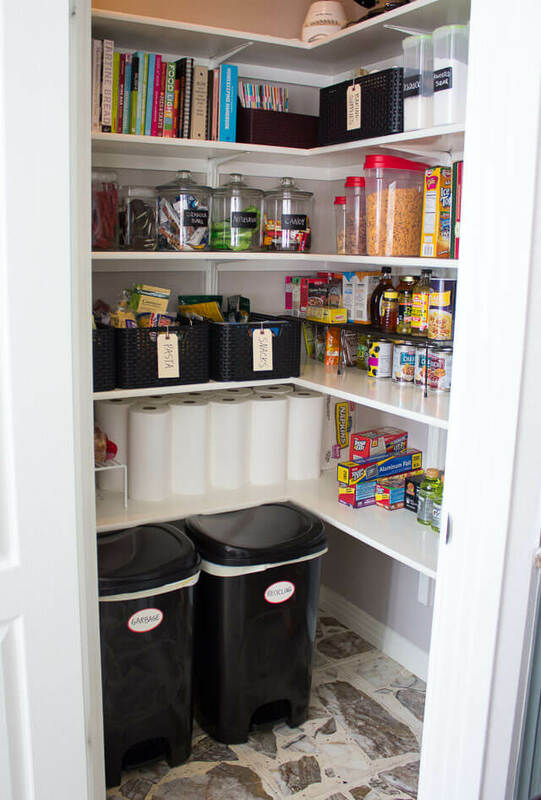 Use our ideas to reclaim your pantry space and simplify your life in the kitchen. 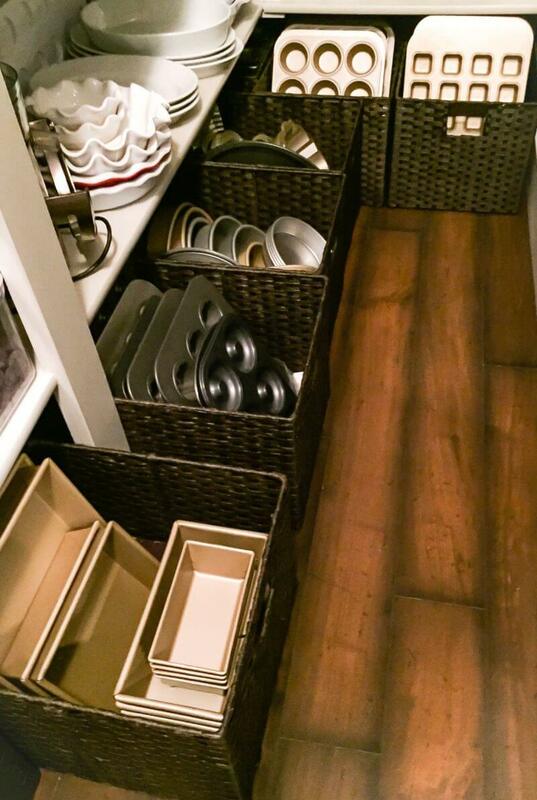 With just a little time invested, you can dramatically improve your kitchen.